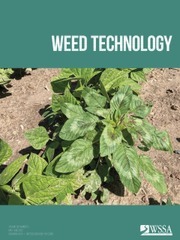 Experts with the Weed Science Society of America (WSSA) say one often-ignored strategy for controlling herbicide-resistant weeds is now getting a second look. Farmers are finding success by ensuring that weed seeds remaining in the field at harvest time aren’t dispersed and left to sprout in subsequent growing seasons. The proving ground for harvest-time weed seed control is Australia, where a decade ago weeds resistant to multiple types of herbicides were overrunning crops. 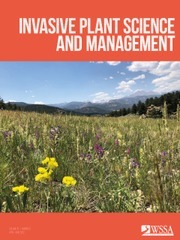 Scientists and farmers began to collaborate on nonchemical strategies to address weeds that persisted through to harvest with seeds still attached. A number of techniques have emerged that have helped to turn the tide. Despite declaring they would never do it, many Australian farmers now attach a chaff cart to the back of each harvester. Weed seeds are gathered in the cart with other chaff and then destroyed or used for feed. “Bale direct” systems take things one step further. The chaff is actually baled as it is collected and then used for livestock feed. Studies have shown chaff carts and bale direct systems can capture 90 percent or more of the weed seeds gathered by the harvester and keep them from being blown back onto the field. Australian grower Ray Harrington has created another alternative – a system that mills chaff to destroy weed seeds as they are collected. Residues can then be dispersed directly onto the field so moisture and nutrients are conserved. A recent study shows the commercially available Harrington Seed Destructor successfully destroys more than 90 percent of harvested weed seeds. Several growers in the western U.S. and western Canada are scheduled to try the Harrington Seed Destructor beginning in 2015, with weed scientists evaluating the outcome. Regardless of the technique used, harvest-time weed seed control is now commonplace in Australia and has given the upper hand against most herbicide-resistant weeds to growers of all sizes – from small family farms to those with thousands of planted acres. Grower Lance Turner, for example, farms 15,000 acres of cereal, legumes and canola and pulls a chaff cart behind every harvester, on every acre, every year. Michael Walsh, Ph.D., a member of the Australian Herbicide Resistance Initiative, concurs with Turner’s assessment. He says harvest-time seed control techniques are helping farmers achieve significantly better weed control results than with herbicides alone. It’s a message he’s been sharing recently with growers in the U.S. and Canada, where he has visited farms and led workshops on harvest-time weed seed control. One observation from his travels is that weed densities on many U.S. and Canadian farm fields in particular are “out of control” by current-day Australian standards. 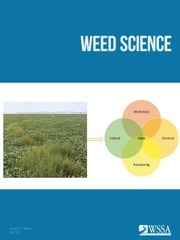 For further background and recommendations from WSSA on the management of herbicide resistant weeds, visit http://wssa.net/weed/resistance.